There are times in life when you just feel you need to escape everyday life and head into the wilderness. 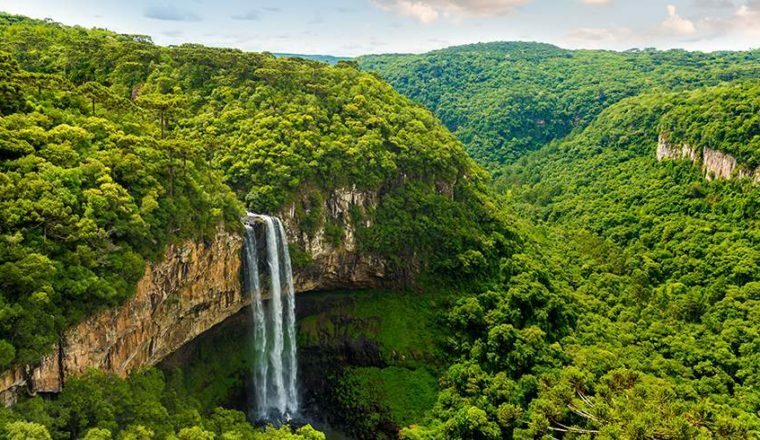 We all need our nature fix from time to time and there is something extremely special about spending time in the jungle or the rainforest, the abundance of wildlife and beautiful greenery is just fabulous for the soul and can give you some great head space from your everyday stresses and strains. So where on our beautiful planet are the best jungles and rainforests to go walking in? Costa Rica’s Monteverde Cloud Forest Reserve is one of the country’s most fascinating destinations. 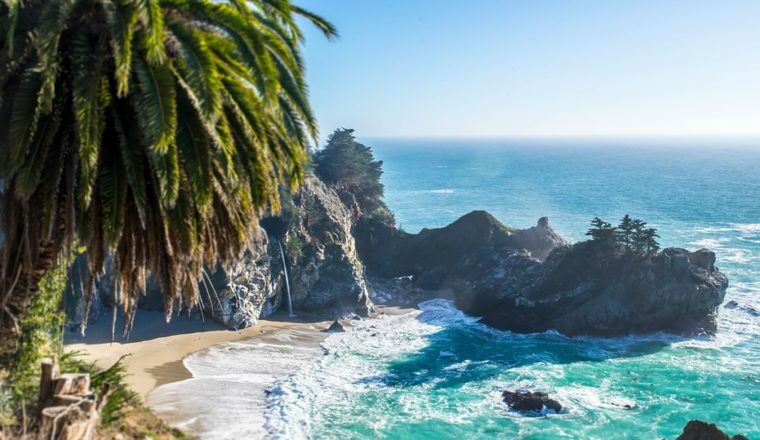 This area is home to more than one hundred mammal species, four hundred species of bird, thousands of different insects, and thousands of different plants. If you are lucky you may well spot howler monkeys, jaguars, ocelots, tapirs, and macaws and one of its most magical residents is the beautiful, brightly coloured quetzal that was considered divine by Pre-Columbian Mesoamerican civilisations. Cloud forests take their name from their very literal nature. Often taking the form of fog, low-hanging clouds hover around the upper canopy of the forest before condensing onto the leaves of trees and dripping onto the plants below. The feeling here is as if the sky has come down into the forest, meaning that you’ll be walking through the clouds. Because of the clouds the sun doesn’t often break through which causes a slower rate of evaporation and provides the plants with an abundance of life-giving moisture which promote a huge amount of biodiversity, particularly within the type of plants known as epiphytes. In a stark contrast to the famous beaches of Thailand, Khao Sok National Park is Thailand’s rainiest spot and, at 160 million years old it is thought to be the oldest rainforest on Earth. Visit Khao Sok National Park to hike, kayak, take Jeep safaris, and even ride elephants. Many people head here to try and spot the Rafflesia kerrii, one of the worlds biggest (and smelliest) flowers. The largest example recorded reached 112 cm in width. The walks around here are a beautiful mix of green terrain, woodland and waterfalls, do watch out for the leeches though which can be a real pain, especially after rainfall. The Daintree Rainforests diverse landscape includes gorges, waterfalls, mountains, dense forest, white sand beaches, and fringing reefs just offshore. This is an incredibly beautiful spot that has something to offer every single taste. Contained within the rare combination of landscape are 3% of the frog, reptile and marsupial species in Australia, 90% of Australia’s bat and butterfly species, and 7% of Australia’s bird species. 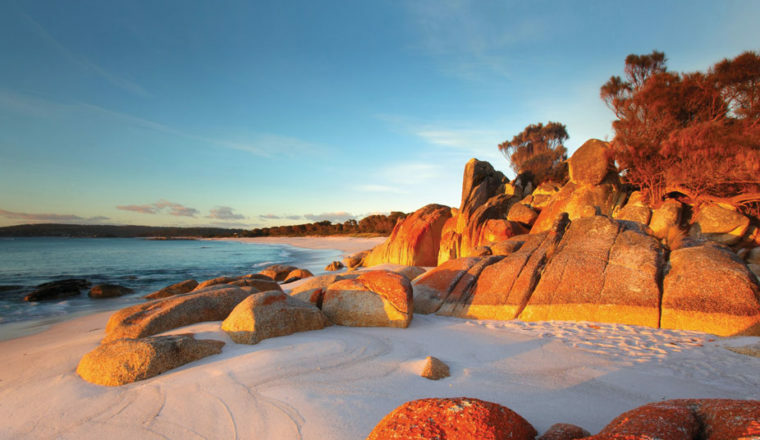 If you are a wildlife lover you simply must visit this part of Australia, because all of this diversity is contained in an area that makes up less than 1% of the country’s total landmass. Daintree National Park is a two hour drive north of Cairns, or about an hour north of Port Douglas. Day tours by 4WD or coach depart from Cairns and Port Douglas all year round, or if you fancy going it alone you can always hire a car. For longer visits there are some lovely towns and villages on the rainforest’s doorstep, such as Mossman or Cape Tribulation if you fancy hanging around for a while. Volcanoes National Park is home to five of the eight major volcanoes of the Virunga Mountains and is also home to the critically endangered and magnificent mountain gorilla. Walking in Rwanda is on a huge amount of peoples bucket lists because seeing the beautiful mountain gorilla in its natural habitat is truly an awe-inspiring, once -in-a-lifetime experience. Though encounters can never be guaranteed, the area has some of the best and most experienced trackers in the world. There are also a variety of other primates to spot, including the golden monkey, elephants, buffalo, and hyenas. 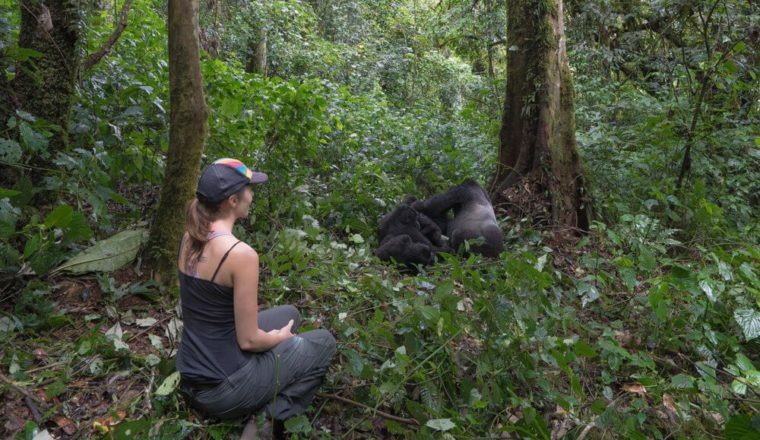 You will pay for this experience though, in a very sensible bid to regulate the activity, the governments of Congo, Rwanda and Uganda decided to make permits to go gorilla treking. These are more expensive than any other wildlife permit in the world and aim to limit the number of visitors and create sustainability of the activity. The gorilla permit costs $400 in Congo (DRC), $1500 in Rwanda and $600 in Uganda. These gorilla permits help to limit stress on the apes and on their habitat which could result in change of behaviour and even death. There is only a maximum of 8 permits per gorilla group sold each day to make sure the gorillas are not overwhelmed by the human presence. The Bolivian Amazon Jungle is as wild and exciting as it sounds. Take a motorboat up the Tuichi River, hike along the Tareche Trail, observe exotic birdlife, howler monkeys and peccaries on the Biwa Trail, or arm yourself with a torch and explore the jungle at night with a local guide. Learn about the jungle’s many medicinal plants and fish for piranha. The wildlife of the Amazon is unparalleled to anywhere else in the world. To reach the Bolivian Amazon you have two options when coming from La Paz, both are really quite different experiences. Option one is certainly the cheaper choice and that is to come by bus, however this is a long and risky trip. The ride takes up to 35 hours along largely rocky and difficult roads. If you aren’t feeling brave or you are feeling a little more flush then jump on a plane. A 30-minute flight from La Paz’s El Alto airport to Rurrenabaque is the way to go, but do be prepared for a shaky propeller plane that only takes around 20 people per flight. Its a hair raising experience but probably better than the long, long bus journey. 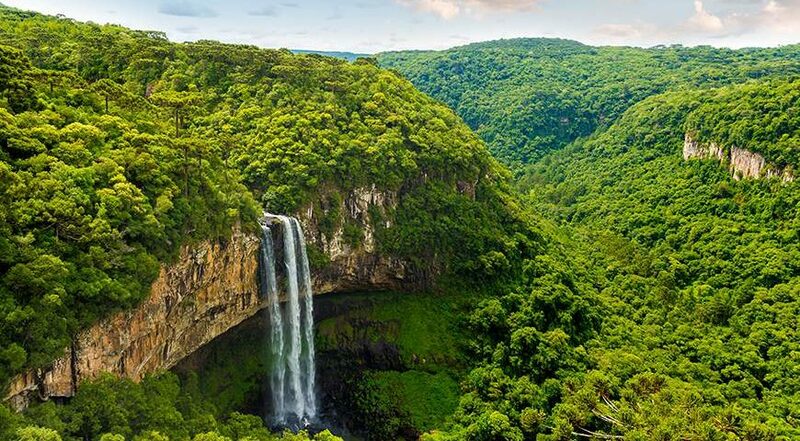 Try to get a window seat to take in the breathtaking views of the rainforest as you fly above, it is absolutely stunning.